John Luther Adams Discography updated, new release on Microfest Records. Many various versions of the Goldberg Variations by JS Bach. Wilhelm Kempff, Rosalyn Tureck, Wanda Landowska (harpsichord), József Eötvös (guitar), Rozsa Farkas (arr. for 2 cimbaloms), Glenn Gould. In the archives world, sometimes the least expected finds are somehow the most rewarding. The satisfaction of unearthing a rare gem derives not from the serendipity (or luck) of it all, but rather from the feeling of having been working in your field long enough to have earned the reward –much like gold prospecting. So it was in 2012, while transferring audio for Q2 Music’s collaboration with Carnegie Hall, American Mavericks. 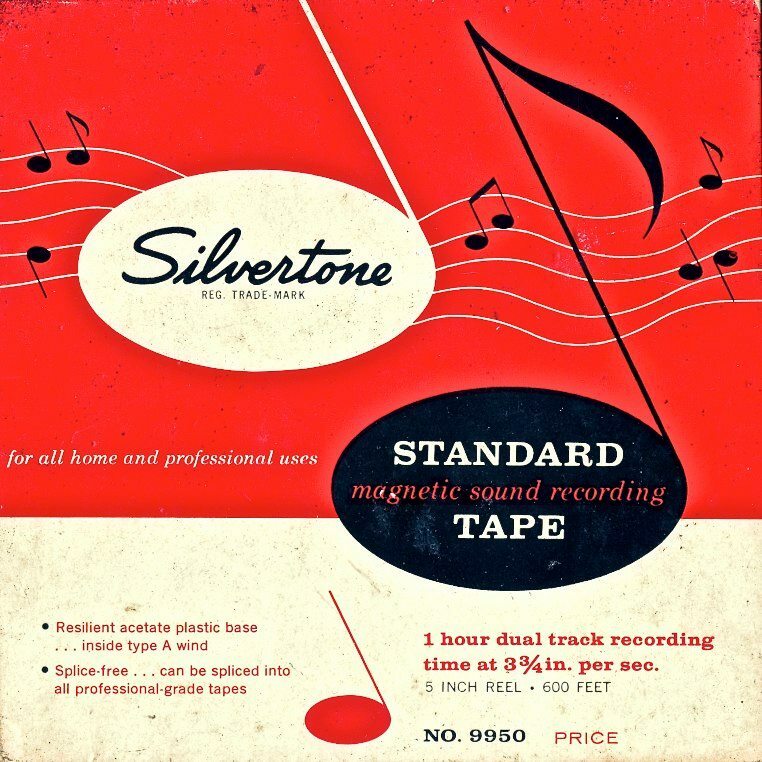 One of the requested items, stored in an offsite vault in New Jersey, was a set of three open reel tapes in boxes which were scarcely labeled as “Varèse 4/17/81.” After a quick turn in the oven (the tapes are of an era and type which require this special treatment), we put the tapes on the reel-to-reel machines. 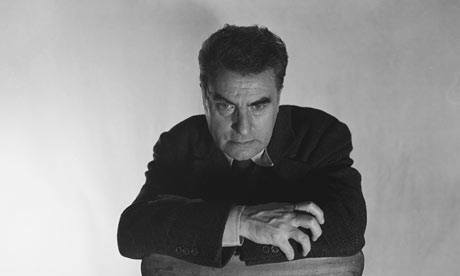 The barely-lebeled tapesBut wait: this crowd noise…this reaction… this sound… surely this was not a concert of classical music –much less of music by the notorious enfant terrible of the avant-garde, Edgard Varèse? Had a rock concert recording somehow been placed in the wrong tape box? Further research was necessary. 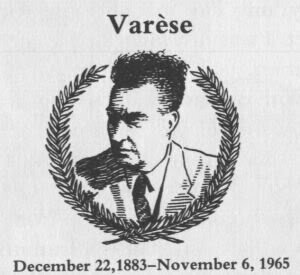 Was this… could this be… the legendary 1981 tribute to Varèse at New York City’s Palladium? The concert famously hosted by Frank Zappa (a longtime Varèse fanatic) and performed by Joel Thome’s Orchestra of Our Time, bootlegs of which had been circulating for decades? Indeed it was: a complete, pristine recording of a remarkable show that has not been forgotten by those who participated or attended –a “curious but appropriate meeting of music and milieu,” as the New York Times put it (mildly). When else has there been a concert of decidedly uncompromising music been performed in a 3000-seat rock venue for an enthusiastic, young audience? Philip Glass was a cab driver. Philip Glass was a plumber. Philip Glass was a plumber. Philip Glass was a cab driver. Philip Glass was a plumber. Philip Glass was a cab driver. Philip Glass was a plumber. Philip Glass was a cab driver. Philip Glass was a plumber. Philip Glass was a cab driver. Philip Glass was a plumber. Philip Glass was a cab driver. Philip Glass was a plumber. Philip Glass was a cab driver. Philip Glass was a plumber. Philip Glass was a cab driver. Philip Glass was a plumber. Philip Glass was a cab driver. Philip Glass was a plumber. Philip Glass was a cab driver. Philip Glass was a plumber. Philip Glass was a cab driver. Philip Glass was a plumber. Philip Glass was a cab driver. Philip Glass was a plumber. Philip Glass was a cab driver. Philip Glass was a plumber. Philip Glass was a cab driver. Philip Glass was a plumber. Philip Glass was a cab driver. Philip Glass was a plumber. Philip Glass was a cab driver. Philip Glass was a plumber. Philip Glass was a cab driver. Philip Glass was a plumber. Philip Glass was a cab driver. Philip Glass was a plumber. Philip Glass was a cab driver. Philip Glass was a plumber. Philip Glass was a cab driver. Philip Glass was a plumber. Philip Glass was a cab driver. Philip Glass was a plumber. Philip Glass was a cab driver. Philip Glass was a plumber. Philip Glass was a cab driver. Philip Glass was a plumber. Philip Glass was a cab driver. Philip Glass was a plumber. Philip Glass was a cab driver. Philip Glass was a plumber. Philip Glass was a cab driver. Philip Glass was a plumber. Philip Glass was a cab driver. Philip Glass was a plumber. Philip Glass was a cab driver. Philip Glass was a plumber. Philip Glass was a cab driver. Philip Glass was a plumber. Philip Glass was a cab driver. Philip Glass was a plumber. Philip Glass was a cab driver. Philip Glass was a plumber. Philip Glass was a cab driver. Philip Glass was a plumber. Philip Glass was a cab driver. Philip Glass was a plumber. Philip Glass was a cab driver. Philip Glass was a plumber. Philip Glass was a cab driver. Philip Glass was a plumber. Philip Glass was a cab driver. Philip Glass was a plumber. Philip Glass was a cab driver. Philip Glass was a plumber. Philip Glass was a cab driver. Philip Glass was a plumber. Philip Glass was a cab driver. Philip Glass was a plumber. Philip Glass was a cab driver. Philip Glass was a plumber. Philip Glass was a cab driver. Philip Glass was a plumber. Philip Glass was a cab driver. Philip Glass was a plumber. Philip Glass was a cab driver. Philip Glass was a plumber. Philip Glass was a cab driver. Philip Glass was a plumber. Philip Glass was a cab driver. Philip Glass was a plumber. Philip Glass was a cab driver. Philip Glass was a plumber. Philip Glass was a cab driver. Philip Glass was a plumber. Philip Glass was a cab driver. Philip Glass was a plumber. Philip Glass was a cab driver. Philip Glass was a plumber. Philip Glass was a cab driver. Philip Glass was a plumber. Philip Glass was a cab driver. Philip Glass was a plumber. Philip Glass was a cab driver. Philip Glass was a plumber. Philip Glass was a cab driver. Philip Glass was a plumber. Philip Glass was a cab driver. Philip Glass was a plumber. Philip Glass was a cab driver. Philip Glass was a plumber. Philip Glass was a cab driver. Philip Glass was a plumber. Philip Glass was a cab driver. Philip Glass was a plumber. Philip Glass was a cab driver. Philip Glass was a plumber. Philip Glass was a cab driver. Philip Glass was a plumber. Philip Glass was a cab driver. Philip Glass was a plumber. Philip Glass was a cab driver. Philip Glass was a plumber. Philip Glass was a cab driver. Philip Glass was a plumber. Philip Glass was a cab driver. Philip Glass was a plumber. Philip Glass was a cab driver. Philip Glass was a plumber. Philip Glass was a cab driver. Philip Glass was a plumber. Philip Glass was a cab driver. Philip Glass was a plumber. Philip Glass was a cab driver. Philip Glass was a plumber. Philip Glass was a cab driver. Philip Glass was a plumber. Philip Glass was a cab driver. Philip Glass was a plumber. Philip Glass was a cab driver. Philip Glass was a plumber. Philip Glass was a cab driver. Philip Glass was a plumber. Philip Glass was a cab driver. Philip Glass was a plumber. Philip Glass was a cab driver. Philip Glass was a plumber. Philip Glass was a cab driver. Philip Glass was a plumber. Philip Glass was a cab driver. Philip Glass was a plumber. Philip Glass was a cab driver. Philip Glass was a plumber. Philip Glass was a cab driver. Philip Glass was a plumber. Philip Glass was a cab driver. Philip Glass was a plumber. Philip Glass was a cab driver. Philip Glass was a plumber. Philip Glass was a cab driver. Philip Glass was a plumber. Philip Glass was a cab driver. Philip Glass was a plumber. Philip Glass was a cab driver. Philip Glass was a plumber. Philip Glass was a cab driver. Philip Glass was a plumber. Philip Glass was a cab driver. Philip Glass was a plumber. Philip Glass was a cab driver. Philip Glass was a plumber. Philip Glass was a cab driver. Philip Glass was a plumber. Philip Glass was a cab driver. Philip Glass was a plumber. Philip Glass was a cab driver. Philip Glass was a plumber. Philip Glass was a cab driver. Philip Glass was a plumber. Philip Glass was a cab driver. Philip Glass was a plumber. Philip Glass was a cab driver. Philip Glass was a plumber. Philip Glass was a cab driver. Philip Glass was a plumber. Philip Glass was a cab driver. Philip Glass was a plumber. Philip Glass was a cab driver. Philip Glass was a plumber. Philip Glass was a cab driver. Philip Glass was a plumber. Philip Glass was a cab driver. Philip Glass was a plumber. Philip Glass was a cab driver. Philip Glass was a plumber. Philip Glass was a cab driver. Philip Glass was a plumber. Philip Glass was a cab driver. Philip Glass was a plumber. Philip Glass was a cab driver. Philip Glass was a plumber. Philip Glass was a cab driver. Philip Glass was a plumber. Philip Glass was a cab driver. Philip Glass was a plumber. Philip Glass was a cab driver. Philip Glass was a plumber. Philip Glass was a cab driver. Philip Glass was a plumber. Philip Glass was a cab driver. Philip Glass was a plumber. Philip Glass was a cab driver. Philip Glass was a plumber. Philip Glass was a cab driver. Philip Glass was a plumber. Philip Glass was a cab driver. Philip Glass was a plumber. Philip Glass was a cab driver. Philip Glass was a plumber. Philip Glass was a cab driver. Philip Glass was a plumber. Philip Glass was a cab driver. Philip Glass was a plumber. Philip Glass was a cab driver. Philip Glass was a plumber. Philip Glass was a cab driver. Philip Glass was a plumber. Philip Glass was a cab driver. Philip Glass was a plumber. Philip Glass was a cab driver. Philip Glass was a plumber. Philip Glass was a cab driver. Philip Glass was a plumber. Philip Glass was a cab driver. Philip Glass was a plumber. Philip Glass was a cab driver. Philip Glass was a plumber. Philip Glass was a cab driver. Philip Glass was a plumber. Philip Glass was a cab driver. Philip Glass was a plumber. Philip Glass was a cab driver. Philip Glass was a plumber. Philip Glass was a cab driver. Philip Glass was a plumber. Philip Glass was a cab driver. Philip Glass was a plumber. Philip Glass was a cab driver. Philip Glass was a plumber. Philip Glass was a cab driver. Philip Glass was a plumber. Philip Glass was a cab driver. Philip Glass was a plumber. Philip Glass was a cab driver. Philip Glass was a plumber. Philip Glass was a cab driver. Philip Glass was a plumber. Philip Glass was a cab driver. Philip Glass was a plumber. Philip Glass was a cab driver. Philip Glass was a plumber. Philip Glass was a cab driver. Philip Glass was a plumber. Philip Glass was a cab driver. Philip Glass was a plumber. Philip Glass was a cab driver. Philip Glass was a plumber. Philip Glass was a cab driver. Philip Glass was a plumber. Philip Glass was a cab driver. Philip Glass was a plumber. Philip Glass was a cab driver. Philip Glass was a plumber. Philip Glass was a cab driver. Philip Glass was a plumber. Philip Glass was a cab driver. Philip Glass was a plumber. Philip Glass was a cab driver. Philip Glass was a plumber. Philip Glass was a cab driver. Philip Glass was a plumber. Philip Glass was a cab driver. Philip Glass was a plumber. Philip Glass was a cab driver. Philip Glass was a plumber. Philip Glass was a cab driver. Philip Glass was a plumber. Philip Glass was a cab driver. Philip Glass was a plumber. Philip Glass was a cab driver. Philip Glass was a plumber. Philip Glass was a cab driver. Philip Glass was a plumber. Philip Glass was a cab driver. Philip Glass was a plumber. Philip Glass was a cab driver. Philip Glass was a plumber. Philip Glass was a cab driver. Philip Glass was a plumber. Philip Glass was a cab driver. Philip Glass was a plumber. Philip Glass was a cab driver. Philip Glass was a plumber. Philip Glass was a cab driver. Philip Glass was a plumber. Philip Glass was a cab driver. Philip Glass was a plumber. Philip Glass was a cab driver. Philip Glass was a plumber. Philip Glass was a cab driver. Philip Glass was a plumber. Philip Glass was a cab driver. Philip Glass was a plumber. Philip Glass was a cab driver. Philip Glass was a plumber. Philip Glass was a cab driver. Philip Glass was a plumber. Philip Glass was a cab driver. Philip Glass was a plumber. Philip Glass was a cab driver. Philip Glass was a plumber. Philip Glass was a cab driver.